Chartered Surveyors in Crowborough, East Sussex. A measured building survey involves taking laser measurements of the property in order to create accurate scale drawings which typically include a floor plan, elevations and sections. When providing architectural services to a client, a measured building survey will be one of the first steps in the process. An accurate measured survey and production of existing plans will provide a foundation for all subsequent drawings including planning drawings, construction drawings and structural drawings. The initial design phase is undoubtedly one of the most exciting and also the most important. Our team of Architectural Technicians will interpret your brief while considering practicalities such as budget, structural feasibility, planning permission. This is where the project is steered to provide the greatest chance of success. During the initial design phase, we will listen to all your ideas and requirements and provide you with sketch proposals which are faithful to your brief and description. We will typically also provide an alternative options to show different styles or layouts. It is then through a process of discussion and often further sketch studies that the design is agreed. As our client, you will be in full control of the process and we will continue to develop design ideas until you are completely satisfied with the final design. When instructed to assist with the design of your project, we listen to your ideas and work with you to unlock your vision for your property. The ultimate objective is to ensure that the house you live in becomes your dream home. Our designers use the most up to date AutoCAD software to prepare proposed drawings. We can also provide 3D visualisations help with modelling the external appearance and internal space. We have worked with a number of local contractors and can recommend those that work to the highest workmanship standards while still providing good value. 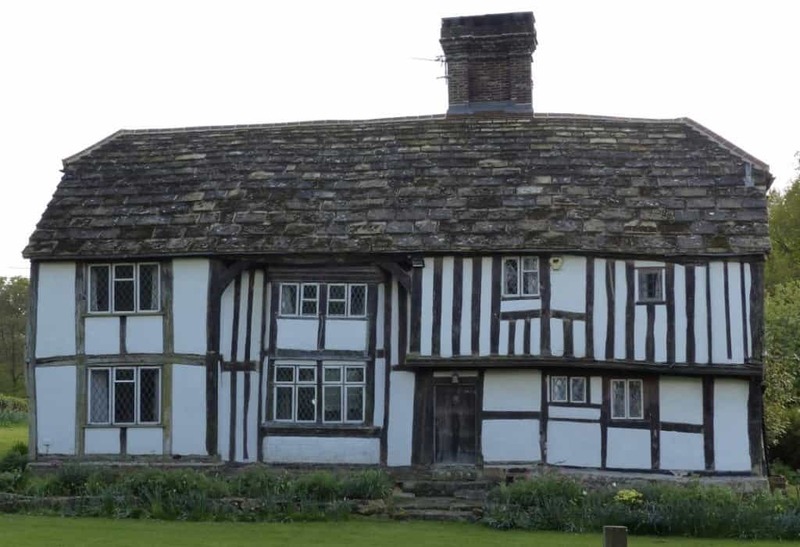 With projects often involving listed properties it is important that builders have knowledge of the traditional skills and materials required for historic buildings. We will also ensure the project meets all Building Regulations. These cover a number of areas from the size of a steel beam and it’s fire resistant covering to how much insulation is included within new walls and how new drainage must be dealt with. We keep a close eye on the quality of the finish and the finer details too, we know how important this is, not just to your enjoyment of the property but also to its value. Planning legislation is key as it can often directly influences the size and design of a proposed building. We can meet with the local planning authority at an early stage to discuss any potential problems with the site and ensure that there is a reasonable chance of gaining planning consent. We obtain planning consents for one-off residential new-builds, conversions and extensions. Do you need Listed Building Consent? We can advise you on whether your building works require Listed Building Consent. 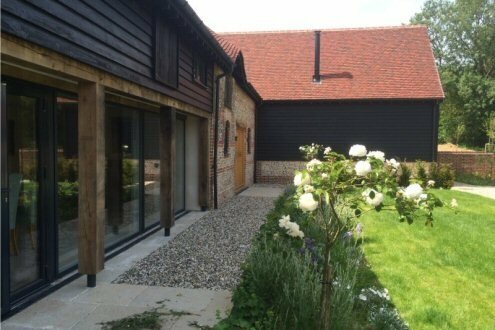 We have experience working with listed buildings and local Wealden Conservation Officers and can prepare detailed drawings and a Heritage Statement to support an application. A high quality set of detailed construction drawings not only demonstrates compliance with building regulations, but more importantly, assists the builder to ensure what is shown on planning drawings is built in reality. Construction drawings are required in order for a builder to provide a priced tender for the proposed works and are often appended to a construction contract. Construction drawings include details of the electrical layout, foundations, wall floor and roof structure. It is vital that these details are specified by a suitably qualified surveyor. A Structural Engineer will typically be required to provide details of structural elements for the proposed works and these details will feed into our construction drawings. When first registering an estate or when transferring part of an already registered estate, it will be necessary to register with Land Registry and a Land Registry complaint plan will be required to accompany the application. The Land Registry sets out guidelines and requirements for a plan. In order for the application to be successful it is important that the plan be compliant. These include that the plan is shown to a set scale and that the portion of land is accurately shown with coloured edging. A good quality Land Registry plan will reduce the risk of your application being rejected, contact Lawrence & Taylor to discuss your needs. A Lease Plan will need to be prepared and registered with Land Registry for a new lease with a term of 7 or more years. The Lease Plan must be to scale and clearly show the relevant areas of the property which form part of the demise. Coloured edging; red for the demise and blue for the common parts. When a leasehold property is sold and there are 7 or more years remaining on the term. The first time that a leasehold property is registered with the Land Registry. If works are carried out which change the layout, for instance if part of the property were extended. Pre-purchase surveys are most often instructed by a purchaser once an offer has been accepted on a property. Buying a property is the biggest investment an individual will make. A pre-purchase inspection will identify any major defects such as subsidence and less obvious, uninsurable defects like rising damp. Our Building Survey report will use plain language and annotated photographs to explain any matters of concern. The report will ensure that you are able to make an informed decision and will either give you the peace of mind that you are making a sound investment or have the ammunition to negotiate on price, or to arrange for necessary works to be carried out. How much does a RICS Building Survey cost? The cost of a building survey will depend on the size and complexity of the house that we are asked to survey. Our Building Surveys start from £600. Please call or email us to receive a Building Survey quote. What is the Condition Report? The Condition Report is a bespoke survey provided by Lawrence & Taylor which has a similar level of detail to a HomeBuyer Report but doesn’t include a Market Valuation or a valuation of rebuilding costs for insurance purposes. This report is popular with purchasers who have arranged their own mortgage valuation but want a basic level survey to confirm the condition of the property. The Condition Report is recommended for properties less than 70 years old and for those which have not been extensively altered. Have you become aware of damp to your property? We can carry out a defect inspection which includes a detailed analysis of the problem and will explain the cause to you plainly. Where appropriate, details of the remedial work required are included and we can recommend a suitable contractor to carry out the works. We have considerable experience in the investigation and diagnosis of building defects. These include assessing problems of water penetration and timber decay. Our defect reports are often instructed by home owners, business owners and letting agents wanting to obtained independent advice on the defect and to ensure that it is correctly diagnosed. We recommend inspection by a Chartered Surveyor before works are carried out by a builder to ensure that the defect is correctly identified and to prevent ineffective costly works. Have you become aware of cracking to your property? We have considerable experience in the investigation and diagnosis of building defects. These include assessing; cracking to external walls, subsidence and the effect of trees. Our defect reports are often instructed by home owners, business owners and letting agents wanting to obtain independent advice on the defect and to ensure that it is correctly diagnosed. If you are proposing to carry out works to your property which are close to the party wall, or if you have received a notice from a neighbour wishing to carry out such works, we will be able to provide you with the appropriate advice and act as your Party Wall Surveyor as required. Lawrence & Taylor specialise in residential valuation reports in Crowborough and surrounding towns, we are RICS Registered Valuers. Your solicitor may have advised that a RICS Red Book valuation is required. We are sometimes asked by purchasers to provide our opinion on Market Value to confirm whether their offer is in line with the Market Value. We have carried out many valuations in relation to Help to Buy and shared equity schemes where the homeowner wishes to amend their equity or sell the property. Target HCA, Orbit and other shared equity providers require that a valuation report is carried out by an RICS Registered Valuer. The Chartered Surveyor undertaking the Valuation will provide you with a thorough and clear report and will include the Surveyor’s opinion of the Value. If you require an independent valuation for any of the above purposes please contact us to discuss your requirements. A Buildings Insurance Valuation or (Reinstatement Cost Assessment) is an assessment of how much it would cost to rebuild the property in the event of a fire or collapse and enables you to insure it for the correct amount. This includes visiting the property, taking measurements to calculate the floor area and surveying the type of construction and fittings in accordance with RICS recommendations. As part of applying for probate, HM Revenue and Customs require a value to be submitted for the estate of a deceased individual. This is in order to calculate the amount of inheritance tax where applicable. An RICS Red Book valuation should obtained to ensure that any property included with the estate is accurately valued. A RICS Red Book valuation will provide an accurate reflection of what the property would sell for on the open market on the date that the owner died. 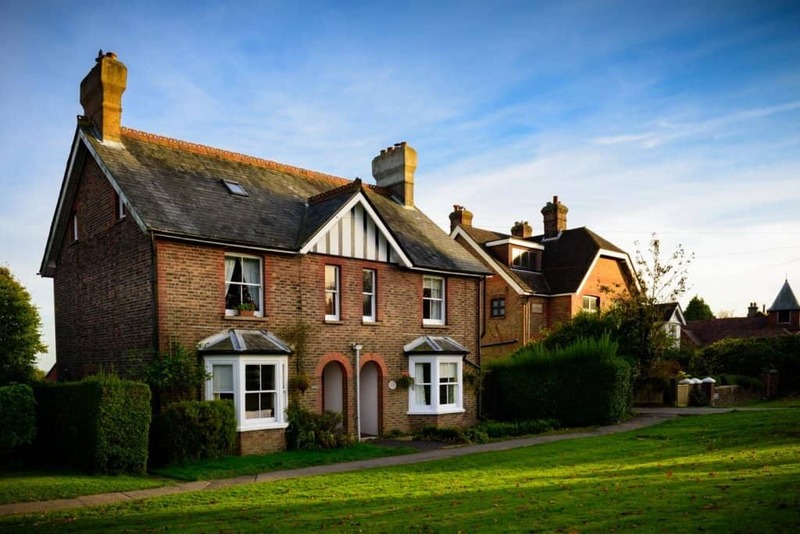 The report is produced by a RICS Registered Valuer and HM Revenue and Customs will therefore accept it as being suitable for use in determining the value and a challenge of the figure submitted would therefore be very rare. We understand that dealing with probate and providing the various information to HMRC can be an incredibly demanding, we can assist you by providing a fast turnaround and ensuring that our valuation report is as easy to follow. All of our probate valuations are undertaken by a Chartered Surveyor who is a member of RICS and a RICS Registered Valuer. When a couple divorce, whether an informal settlement is agreed or formal court proceedings are required, the assets will need to be valued including any property. An independent report will need to be prepared by an RICS Registered Valuer who will determine the market value of the property at a given date. A matrimonial valuation will provide you with an accurate value of the property which is vital to separation proceedings. You may chose to instruct the valuation as a single party, or alternatively both parties can jointly instruct us to carry out a valuation of the property. Our matrimonial valuations comply with the rules and guidance of the RICS Red Book, if required (in the case of court proceedings) they can also be undertaken in accordance with part 35 of the Civil Procedure Rules (CPR) 1998. It is common for a property owner to want to improve their garden or curtilage by annexing a section of neighbouring land. This would of course require the agreement of the adjoining owner, but assuming they are willing to part with a portion of their land, what price should be paid for the land? This will depend on a number of factors including, to some extent, the amenity it would provide to the party purchasing the land. We have assisted in these cases by visiting the property, measuring the area involved, and providing an independent market value for the piece of land. This figure can then act as benchmark from which negotiations can take place.